With more than 250 sessions, CES conference sessions touch on nearly every topic arising from the show floor, including key trends and emerging technologies. Get the big picture, the future landscape or a deeper understanding of emerging technologies with CES conference sessions. See the CES 2019 conference program below. CES attendee registration includes complimentary access to keynote addresses, SuperSessions and sessions in the tracks listed below. To attend the above conference programming, register for CES. The producers of CES have curated a sample of the latest emerging trends by combining four tracks at CES. This pass is ideal for anyone at CES looking to catch a few sessions throughout the show on the latest topics. This pass offers access to four days of conference programming at CES. Perfect for anyone planning on attending a variety of tracks or looking for flexible options to fit their busy CES schedule. 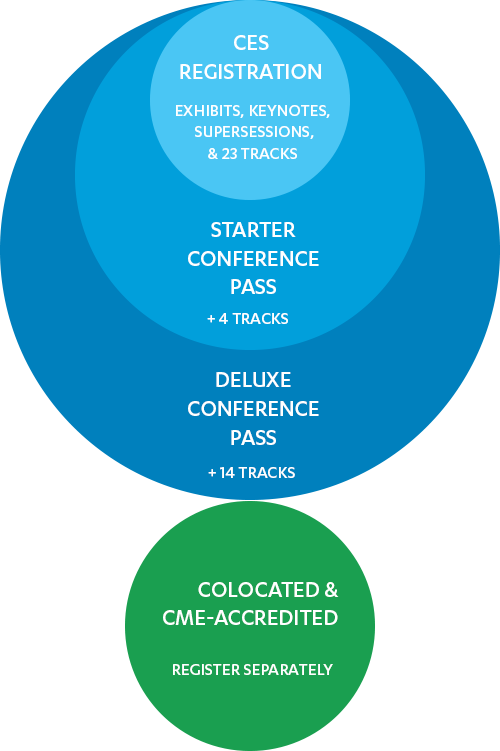 Official collocated conferences taking place during CES 2019. 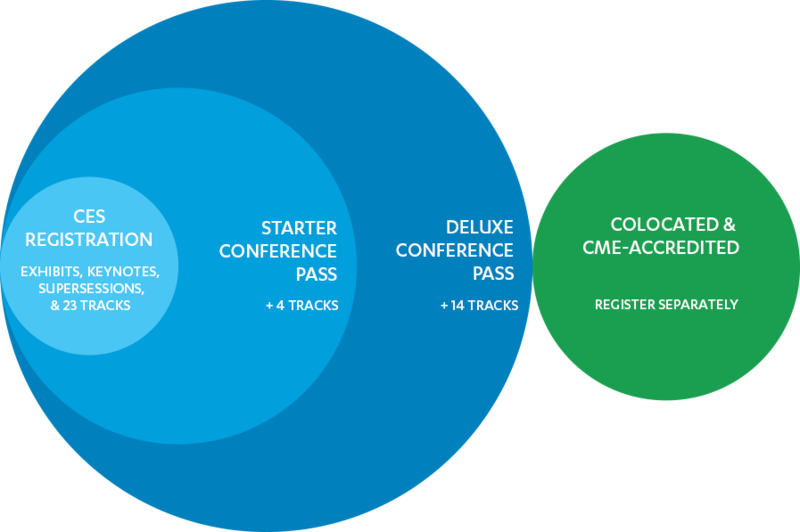 Separate registration is required to attend these conferences.